Over a century ago, he was the first black person to deliver the mail in Toronto, Canada. Today, he is on the mail. 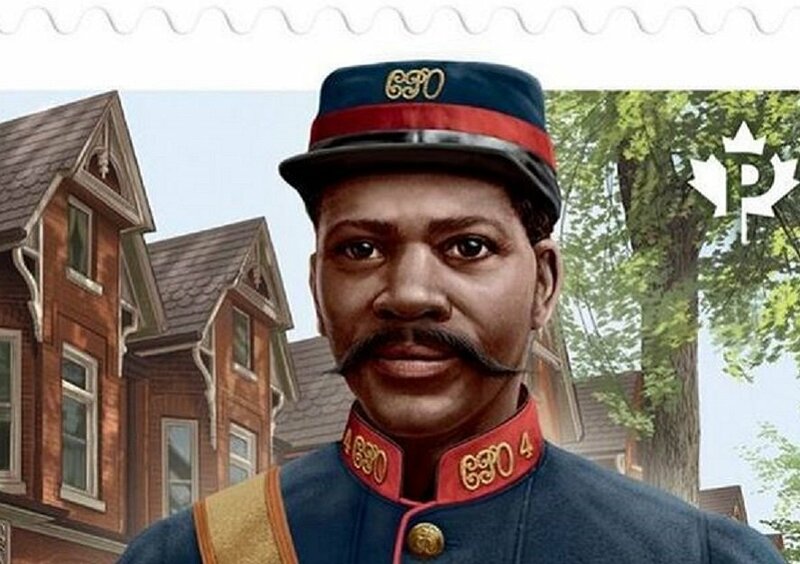 Albert Jackson, who fought racial discrimination to become the first black postal carrier in Toronto, Canada has been honoured with a commemorative stamp this February, which is also Black History Month. “It’s surreal,” said Jamaal Jackson Rogers, the great-great-grandson of Albert Jackson, who died over a 100 years ago. “The first thing I told myself when I heard about him being put on a stamp, was they better do him justice,” he said. “It’s a beautiful stamp,” Jackson Rogers, who is also a poet laureate at the City of Ottawa told CBC Radio’s All In A Day. Albert Jackson was born in the state of Delaware, U.S., during the 1850s. His father died after the sale of his two eldest brothers as slaves. His mother, Ann Maria, who wanted to build a better life for her family, escaped from the United States to Canada with seven children on the Underground Railroad. Jackson was the youngest and just a toddler at the time. 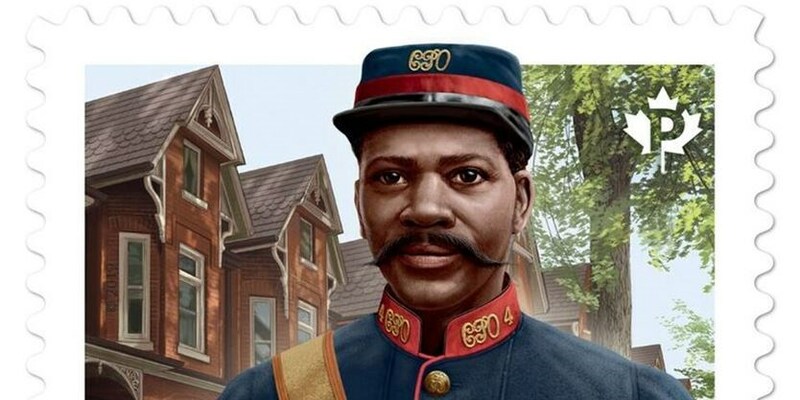 After receiving an education in Toronto, he started work at the post office in Toronto as a letter carrier on May 12, 1882, making him the first black post carrier. This was when many Black men worked as labourers or in the service industry. But the early stages of this job was tough, as he couldn’t get the needed training. His white colleagues refused to train him because he was black. “Because he was black, he was given menial jobs inside, like washing floors, toilets and anything but the job he’d been hired for. He was resented by his white co-workers, who demeaned him daily,” Shawne Jackson-Troiano said of her great-grandfather’s plight. Following the protests and complaints from Jackson’s white colleagues, he was reassigned to the job of hall porter – a position lower than what he had. The move sparked controversy in Toronto, as the black community began to hold protests to compel politicians to pay attention to Jackson’s plight. Sources say that it was Prime Minister Sir John A. Macdonald who consequently intervened to help Jackson get the training needed to be the city’s first black postal carrier. Jackson worked at the post office for 36 years until he passed away in 1918. 135 years after his death, Heritage Toronto honoured his memory by unveiling a commemorative plaque at the old Toronto General Post Office, near where Jackson used to pick up mail to deliver on his routes. A play and a book was also created in his name. A small street behind his former home in Toronto has also been named Albert Jackson Lane. His great-great-grandchild, Jackson Rogers said he and his family only recently began to learn about his ancestor’s legacy.